Thank you for stopping footstep. To celebrate Easter we would like to provide some codes for you guys on AMZ US & AMZ DE from 15th April to 22th April (USA Time) for our models. BTW: Amazon CA and Amazon AU, also have a good deal, please check on amazon page directly we have cut the price already. Hope you will enjoy it and have a good holiday! I recently bought a C8F. Is the 2.0 just a different battery tube plus tail switch, or are there driver changes as well? I seem to have low output on my c8f, but i will have to test my batteries to make sure they are not the limiting factor. I think it’s just the driver. Sofirn is sending me updated drivers for the 2 I have but I want the version 2.0 for comparison. What LED’s are in there? What’s the color? What kind of driver are you using? They are using Cree XP-Ls W2, the highest bin available at a 5300-5700k color temp, so neutral white. A FET+7135 driver. 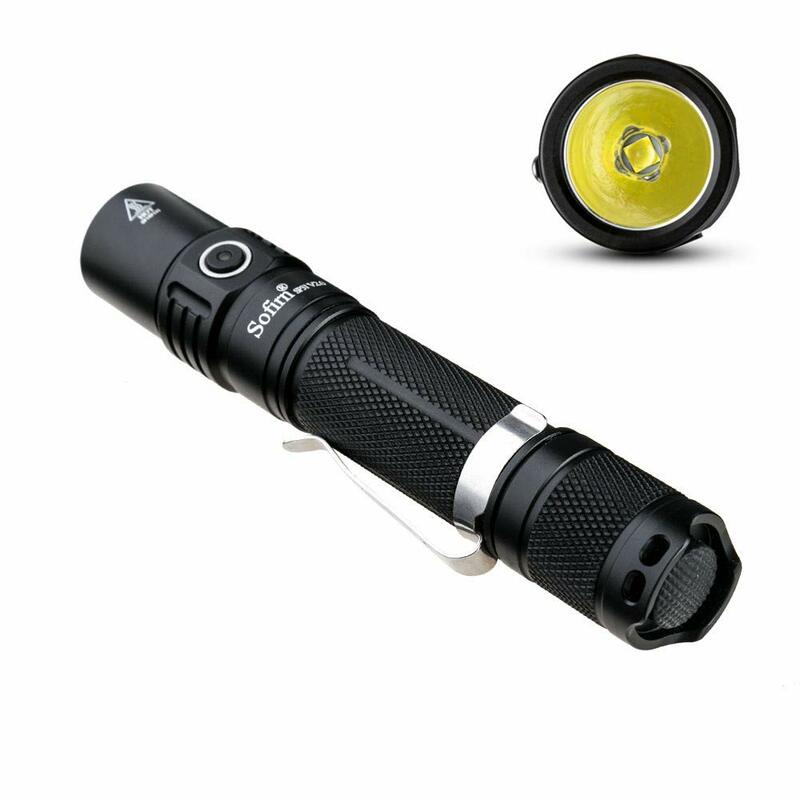 Good efficiency on low modes, and very bright high modes that depend on battery voltage, and the resistance of the circuit. So, more battery+low resistance = higher brightness possible. I think you mean V6 bin, which is the highest bin. I’m probably crazy, but I… must… have… one. No, the highest is W2. Sofirn, any news about the flat, switchless tail? Is the W2 bin new for the XP-L because datasheet only goes up to V6 for XP-L. Only XP-L2 goes up to W2 bin but Sofirn uses XP-L in their 21700 unless there’s been a change. No actually. When the XP-L was starting to be manufactured, there were only V6 and down bins of LEDs available since the process wasn’t yet mature enough. However, in the XP-L binning data sheet, there is a mention of W2 and W3 XP-Ls. 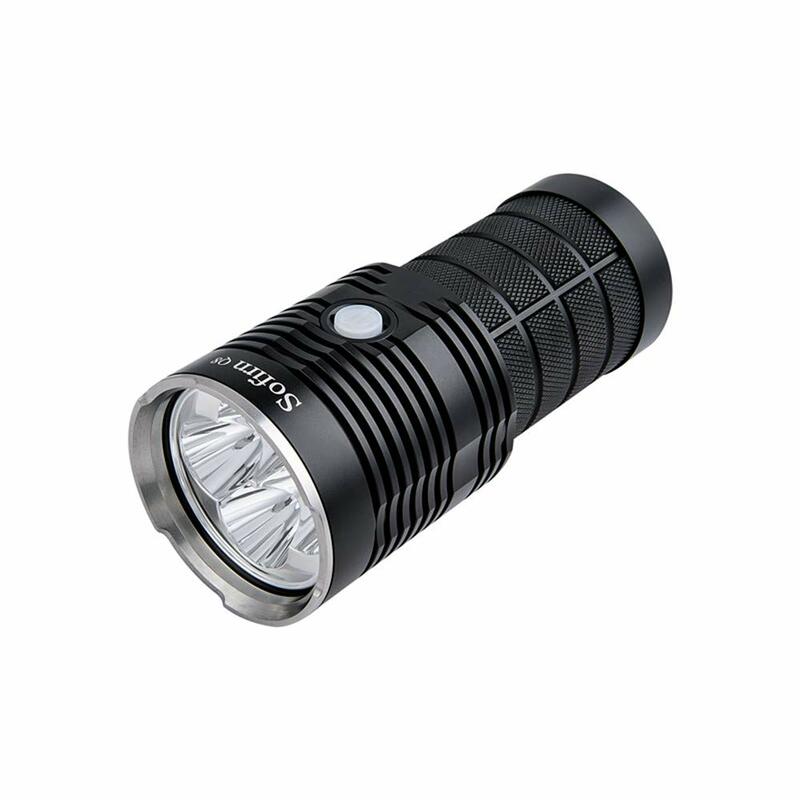 Very high binned XP-Ls with a mature process allow for even higher lumen output. Oh that’s very interesting. Is there any place we can buy these W2 and W3 bin XP-L? Also I couldn’t find where Sofirn listed W2 bin. 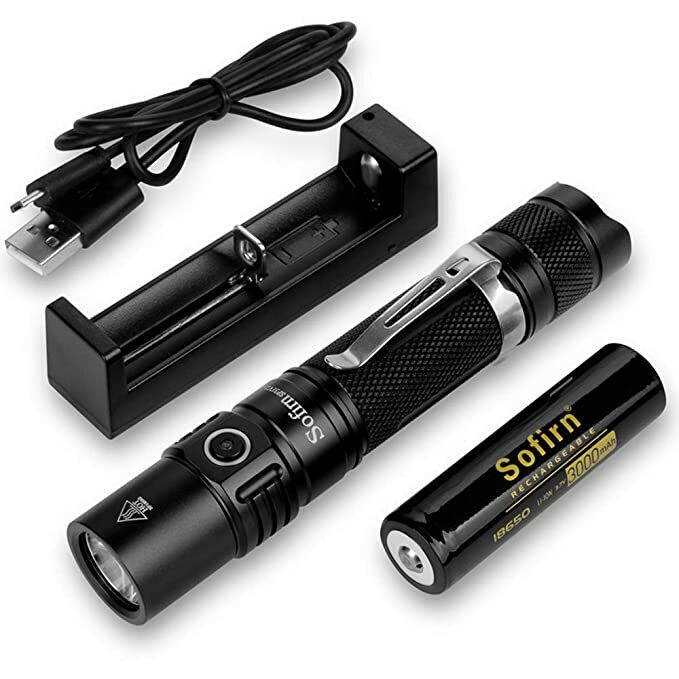 Some of their older flashlights, they specify V6 bin. If they transitioned to W2 bin, that would be very nice and makes their flashlight even more efficient than the competition. KD had some W2. W3 is not available. what issues did yours have that warrant replacing? I’m now questioning the authenticity of my HG2s and VTC6s because i can’t get my c8f to draw more than ~3.6amps on my meter, even on turbo. 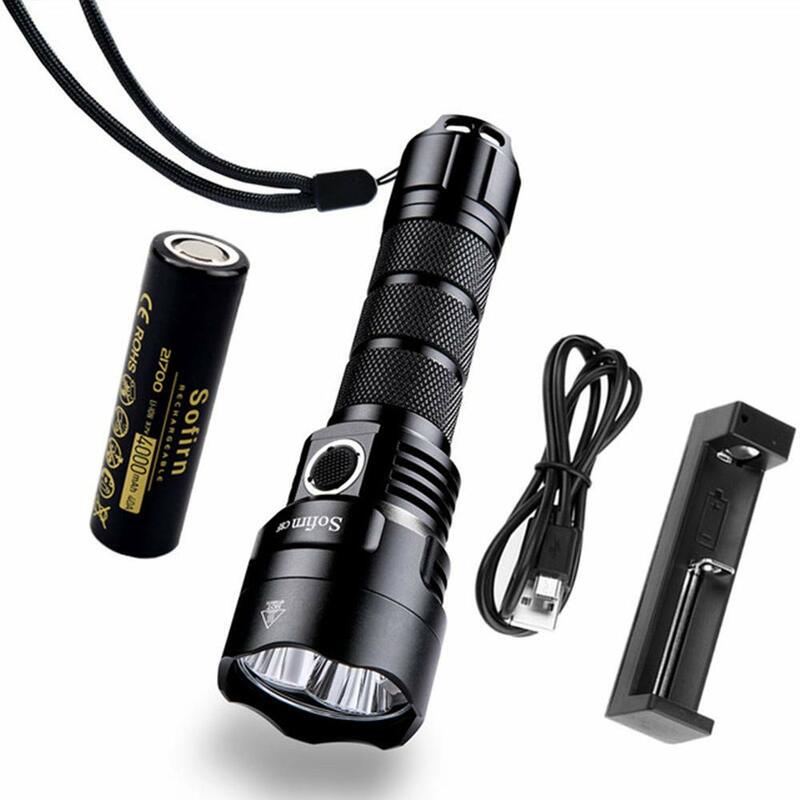 My next hottest light is an S2 w/ 8x driver, which draws about 2.7, which is pretty close to spec, but not enough to tell me that it’s definitely the c8f and not the cells, or i suppose the resistance in my meter? any insight, Tracy? tests to perform, or maybe a driver replacement? @ownmyeyes, what kind of multimeter are you using? If it’s a regular multimeter with long leads, the resistance is going to increase dramatically. You need as thick current leads as possible that are short as possible to measure current accurately. an innova 3320 with long leads, so that could be the culprit. i’ll hack together some heavier gauge short copper leads and give it another shot. it’s also possible that the difference between ~900 and ~2600 lumens is not as dramatic to my eyes as i expected.. I'm sort of interested in the C8F. Anyone know if a 21700 battery would fit in a Lii-500 charger? It is possible yes. In fact, I did an experiment with my Astrolux S42 a while back. With my first multimeter and leads, I was getting around 4,5A on turbo. With a second pair of leads, I got around 6,0A on turbo. Better. With a custom pair of leads with short 16AWG wire, I got almost 9,2-9,6A on turbo with a Sony VTC4 at 4,19V, which I liked. I’m sort of interested in the C8F. Anyone know if a 21700 battery would fit in a Lii-500 charger? This one’s a kit, comes with cell, charger, and cable. Would actually be the 10th as I have two copies of some of their lights! You can have the shortest, thickest leads in the world, but there is no getting around the fact that the current shunt on a DMM adds significant resistance. On my UniT 139c I just measured the shunt resistance as ~20mOhm. That works out to a burden voltage 200mV at 10A. That’ll make a big difference in the draw of a direct-drive light. It’ll make no difference on a regulated light (like the Convoy 8×7135 driver, as long as the cell voltage is high enough to overcome the burden voltage and the regulator drop-out voltage. This is why people use clamp meters. @eas, that is actually a good thing, as it makes the measuring method more reliable since the shunt’s resistance is a like a spring’s resistance. 20mOhm is about the same resistance in the S42 spring, so that is good. I also forgot to tell you I used the 16AWG wire only as an external shunt :D, and calculated the current, which got me around 9,5A. For my part, rather than trying to approximate the spring & contact resistance, I’ve made tailboards with a (bypassed) spring and heavy gauge wire for the clamp measurement loop. Earlier I experimented with measuring the resistive voltage drop across flashlight body tube. It worked pretty well with my precision bench DMM, but calibrating it was a pain. Measuring the resistance using the DMM was problematic. Two-wire measurements had a lot of variability. Four-wire measurements were hard to manage in an assembled light, and also had a lot of variability. Increasing the signal-to-noise ratio with higher currents was a pain to rig up, and brought its own sources of error. It was sort of doable with FET+1 drivers because I could use the regulated modes as an internal calibration but thermoelectric effects were a significant source of error, even at 350mA, and made lower-current secondary calibration points pretty much useless.